^ a b Hugh O. Pierson (1996). Handbook of refractory carbides and nitrides: properties, characteristics, processing, and applications. William Andrew. p. 193. ISBN 0-8155-1392-5. https://books.google.com/books?id=pbt-RWodmVAC&pg=PA193. ^ Stone, D. S.; K. B. Yoder; W. D. Sproul (1991). “Hardness and elastic modulus of TiN based on continuous indentation technique and new correlation”. Journal of Vacuum Science and Technology A 9 (4): 2543–2547. doi:10.1116/1.577270. ^ Toth, L.E. (1971). 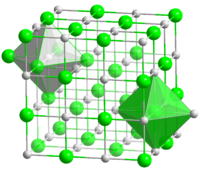 Transition Metal Carbides and Nitrides. New York: Academic Press. ISBN 0-12-695950-1. ^ Dziura, Thaddeus G.; Benjamin Bunday; Casey Smith; Muhammad M. Hussain; Rusty Harris; Xiafang Zhang; Jimmy M. Price (2008). “Measurement of high-k and metal film thickness on FinFET sidewalls using scatterometry”. Proceedings of SPIE (International Society for Optical Engineering) 6922 (2): 69220V. doi:10.1117/12.773593.